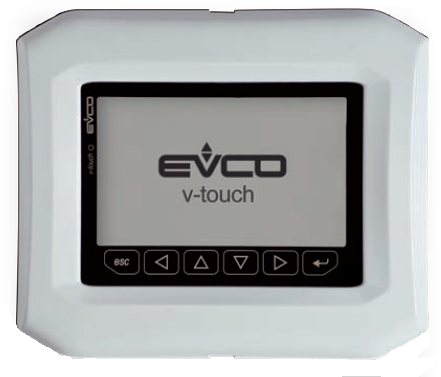 Electronic driver for expansion valves. Compatible with most valves. Programmable controller for Rack, heat pump and chiller applications, BMS compatible. Fully programmable controllers with up to 3AI, 5DI, 3AO, 6DO. Expansion modules available, BMS compatible. Fully programmable controllers with up to 5AI, 7DI, 3AO, 8DO. Expansion modules available, BMS compatible. Fully programmable controllers with up to 5AI, 7DI, 3AO, 8DO. Expansion modules available, BMS and BACnet compatible. 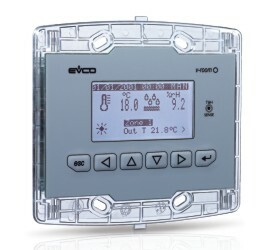 User interface for programmable controller with graphic display. LCD graphic display and temperature and humidity sensor. User interface with touch-screen graphic display.